Should Coconut Oil Be Part of Your Regular Oral Hygiene Routine? Have you considered other things that you could be doing to take care of your mouth? If so, oil pulling may be one of the considerations you should be making. Many people swear by its results, and are seeing less problems with their teeth as a result of doing this on a daily basis. If you do not have coconut oil in your home already for cooking, after finding out the benefits of oil pulling, you may want to get some. Oil pulling is much the same as swishing with a mouthwash, but on a thicker scale. 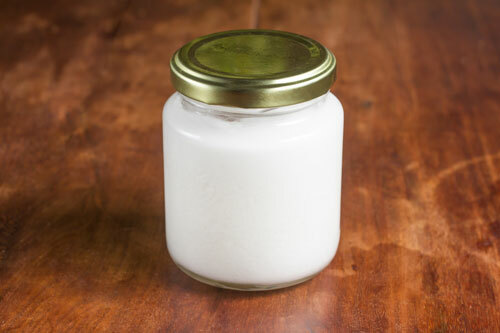 You take slightly warm coconut oil and put it into your mouth, and swish it around for as long as you can. The goal is to get up to 20 minutes per day of continuous swishing. When the time is up, you take the oil from your mouth and spit it into a disposable container or the trash can. It can clog drains and pipes if you try and put it down the drain, so make sure you avoid that. You will see a lot of debris come out with the oil, and will notice a cleaner mouth as soon as you are done. This has helped people get extra debris out of between their teeth and more protection for their teeth, in just 20 minutes per day. It is showing a lot of promise at helping people get the healthier mouth they have been hoping for. It is keeping teeth whiter by removing deep stains, and it is helping to get the extra plaque out of their mouth, decreasing the chances of you having cavities. Please contact our office if you wonder about oil pulling being a part of your routine, and see what their thoughts are on the topic at your next visit.